Greetings From Our Team At N2College®! 1.) 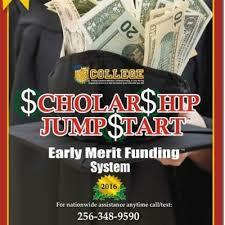 Do you know the (2) main categories of merit-based funding that can comprise over 95% of the ultimate potential funding packages for the majority of college-bound students? 2.) Are you aware of how to optimize the (4) sub-set categories of competitive, merit-based college funding awards & how that process differs from auto, merit-based award preparation? 3.) Do you have a plan for helping your student to craft a truly customized -- and easily revised (as theirinterests continue to develop)--$cholarship Roadmap™ that combines the greatest opportunities to gainmaximum funding to attend his/her top college/university of choice with their pre-selected "Best Fit"major/pre-career choice? 4.) Are you actively working toward meeting the (3) most critical dates related to the ultimatefunding opportunities for all college-bound students nationwide? 6.) Is your 11th grader currently taking advantage of this-- his/her "Most Important" semester in overall preparation-- to increase college funding to the greatest degree?? These logos & all appropriate restrictions, etc., are the property of the organizations noted. Contact N2College® for details on our association with these featured groups. Thank You So Much For Helping Us To Spread The Word! We Are Available Until 7p.m. CST Each Weekday To Answer Questions & To Assist You In Adding To Your Comprehensive College Planning & Funding Program For The Families You Serve. AVERAGE To Each Family Of Program-Completing SRS--Since 2005!